We have just released an update to XTDir for SobiPro. This version is fully compatible with the latest SobiPro 1.3.3. Following the general trend to modernize PHP, SobiPro has recently been upgraded the minimum requirements to PHP 5.6, for more information click here. 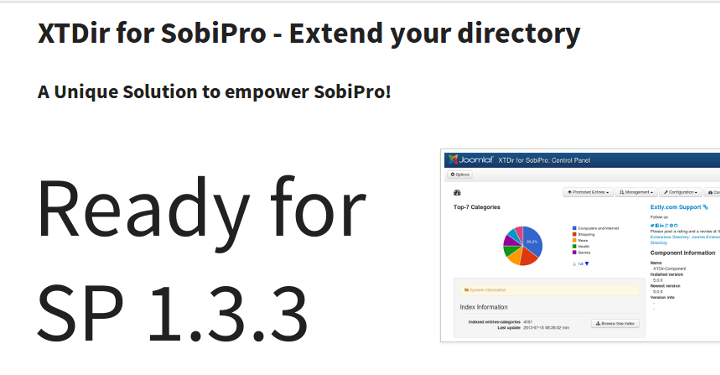 In the same line, SobiPro 1.3.3 introduces a new Sobi Framework.